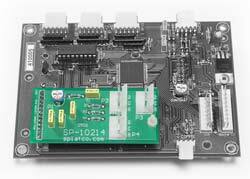 The SPice10214 gives you one onboard potentiometer plus connections for 3 offboard potentiometers. It is ideal for applications where you need "old fashioned" knob settings. Adds one onboard potentiometer plus connections for 3 offboard user supplied potentiometers.